What is gratitude, and why is it so important for your life? Gratitude is the feeling we experience when the gateway of our heart is open and fully connected to Source. Some of the common definitions for the word "gratitude" include a state of mind or feeling of appreciation and thankfulness for something that has been, or is expected to be, received from outside oneself. However, after many years of spiritual practice and the continuous process of transforming the Illusion of Separation, we now know that nothing can be received from outside oneself. There is no "out there" out there, and no "others" from which we can receive. Physical life experience is created when Source sends the light of Spirit through the lens of the Soul into the space-time of Mind, where it is perceived by the Body and returned to Source for completion (or "correction"). A nice metaphor for how this works would be how the human eye and brain work together to create the experience of eyesight. When light passes through the lens of the eye it creates a two dimensional upside down image on the back "wall" of the eye. This image is then sent to the brain which turns it right side up and creates a 3D holographic image in the mind - what we then experience as physical reality. This 3D holographic physical reality, which we sense or perceive with the body, is a product of what we call the "ego mind". Physical life experience could not exist without the ego mind. Despite this, or perhaps because of it, the ego mind is under constant attack as the source of all "evil" in the world. However, the ego mind is not at fault! It is our misunderstanding, or rather forgetting, of the ego's true purpose and our failure to complete the process of creation that is the true cause of the "Illusion of Separation" and the inevitable "Illusion of Evil" that is the result of our mistake. But getting back to the metaphor of eyesight, and how it relates to the experience and importance of gratitude! Again, when Source sends the Light of Spirit through the lens of the Soul, the images projected into the space-time of Mind will at first be "upside down" and "inside out". In other words, Light will appear as darkness, Love will be perceived as hate, Truth will be dismissed as a lie, and Life will be experienced as death. However, this dimension of reality was never meant to be experienced as life! Imagine if we could shift our perception and see the two dimensional upside down image projected on the back of the eye? The world we would experience would be highly distorted! The same is true when we perceive the 3D holographic images created in the Mind BEFORE they are sent back to Source for completion or "correction"! This is what actually happened when Adam and Eve ate the "forbidden fruit" - the knowledge of good and evil. We were never meant to live in the Illusion of Separation created by the ego mind. We are actually here to live in Heaven on Earth - the completed process of Creating. So what happens when we send the distorted images created by the ego mind and the resulting feelings of this world of separation back to Source for completion? We experience the feeling of GRATITUDE. True gratitude is much more than an expression of thanks or appreciation for things received. The feeling we often label as gratitude or appreciation can be lost when the things we are grateful for are taken from us. Money is spent. Things we think we need can wear out, be stolen, or broken. People we love come and go throughout our lives, as do pets and other beloved living things. Our health declines as we get older, or disease and accidents can limit our ability to experience the full life we desire. So what is true gratitude, why is it important, and what effect can it have upon our lives? Again, true gratitude is the feeling we experience when the gateway of our hearts is open and we are fully connected to Source. 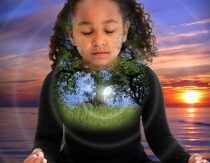 The gateway of the Heart is a "zero point" that connects the Mind to the blueprint of our Soul - the perfect image intended for our life here on earth. The Mind is filled with infinite zero points that radiate energy and information into the space-time of Mind. This energy and information is the Light of Spirit and the thoughts that give form to physical reality. The zero point of the Heart is the gateway that connects us to Source. When that gateway is open, we are sending the images created by the ego mind back to Source and we experience Heaven on Earth. 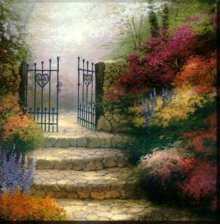 When that gateway is "closed" the body perceives the Illusion of Separation created by the ego mind and we experience feelings of fear, anger, hatred, anxiety, depression, grief and despair - or "hell on earth". True gratitude is the feeling we get when we experience Heaven on Earth. But it is also the feeling we must create in our mind in order to hold the gateway open and allow Source to create Heaven on Earth for us. We can re-create the feeling of true gratitude by remembering moments in our lives when we experienced and were aware of this vital connection, our connection to Source. Perhaps you experienced a moment in nature when you felt totally aware of and connected to God. Maybe it's the moment when you first gazed into the eyes of your newborn child. 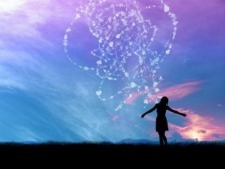 Or perhaps you have had a deep spiritual experience when you felt fully connected to everything that is. Remembering this feeling when you are faced with circumstances or situations that create feelings of fear, anger, and despair allows Source to send you images and feelings that are written in your Soul and are intended for your life. Feelings of inner peace and well being can calm the mind and allow the Heart and brain to work together to find solutions to problems and develop intuition and inner guidance. At times it might seem impossible to create feelings of gratitude in the face of extreme loss or suffering. Allowing yourself to fully feel the anger and grief without taking actions that might hurt yourself or others can help clear the energy and help you return to inner balance. Today there are a number of resources and practices for transforming negative emotions and images into the experience of gratitude and inner peace. Some of them include Heartmath, Emotional Freedom Technique, Healing Codes, and Heartcompass Life Navigation. Life Navigation shows you how to take any circumstance or situation in your life and use it to receive inner guidance and create inner peace and well being. Heartmath has some amazing hacks for keeping the heart open and improving physical, mental and emotional well being and performance. EFT is a simple and easy tool to heal trauma and relieve stress. 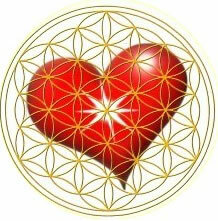 And the Healing Codes access the power of the Heart to send healing energy to the brain and mind. 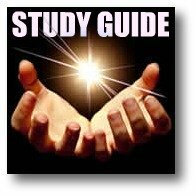 All of these powerful systems or techniques will result in feelings of true gratitude, keeping the gateway of the Heart open to Source and resulting in more Love, Light, and Truth showing up in your Life. 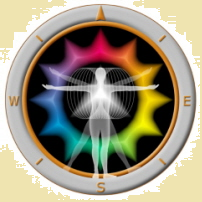 Try the Heartcompass Life Navigation System for free. Join the Foundation for Creating a Mind With Heart (free) and download "Your Heartcompass Owner's Manual". I hope this article helps you understand a little more about what gratitude truly is. I encourage you to try some of the healing and spiritual practices I recommend. If you do, who knows, you might just find yourself living in a little bit of Heaven on Earth. Back to the TOP of What Is Gratitude?